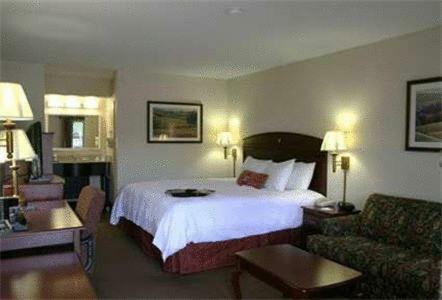 Rooms from $89.10 per night. 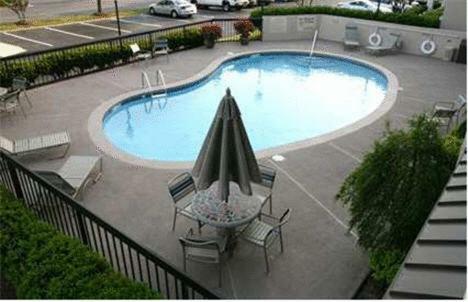 Description This Dalton, Georgia hotel has an outdoor pool, free internet access and non-smoking guest rooms. 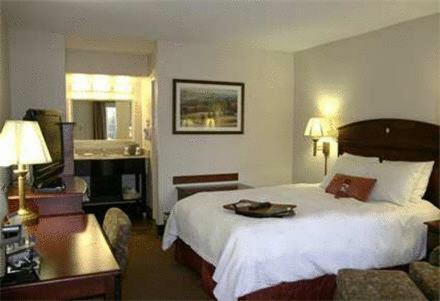 With free breakfasts and modern amenities like flat-panel TVs the Hampton Inn Dalton offers guests a home away from home in Northwest Georgia. The three-story Hampton Inn has 124 rooms with coffeemakers signature bedding flat-panel TVs microwaves mini-fridges and free wired internet access. 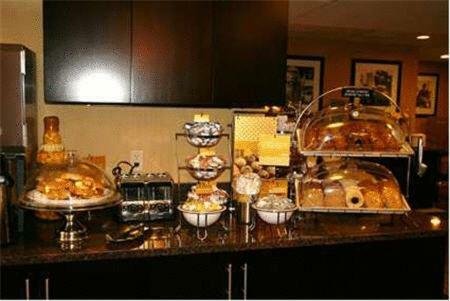 Wake up to a free hot breakfast buffet with a rotating menu of waffles pancakes biscuits and gravy sausage eggs French toast sticks and more. Early risers can get a to-go bag stocked with bottled water fruit cereal and a muffin before regular breakfast hours. 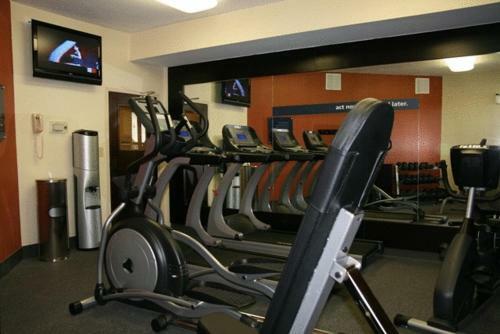 Stay in shape at the fitness center stocked with a treadmill elliptical machine free weights and more. There's also a guest laundry and business center with mail delivery printing copying and fax services. Parking is free. Just off I-75 at Highway 52 the Hampton Inn is one mile east of the Northwest Georgia Trade and Convention Center and within a one-minute walk of the Market Street Shops of Dalton. Historic downtown Dalton is two-and-a-half miles away. 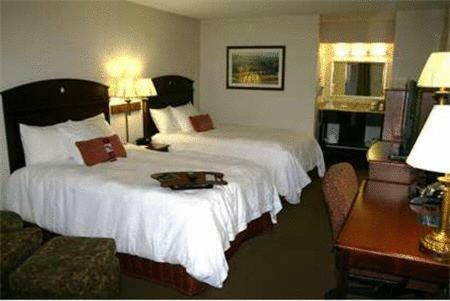 Guests are a half-hour drive from Chattanooga Tennessee and Chattanooga Metropolitan Airport. Hartsfield-Jackson Atlanta International Airport is two hours away by car. 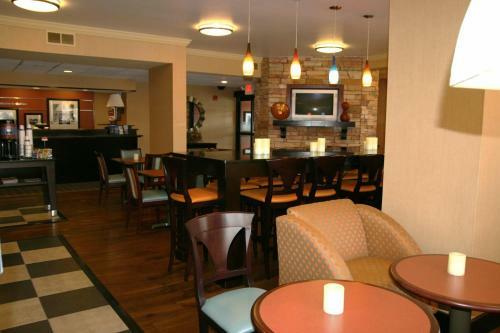 Add Hampton Inn Dalton to your free online travel itinerary.